The stats panel in the leads database can give you a global overview of all of your lead activity across all of your Wishpond campaigns. 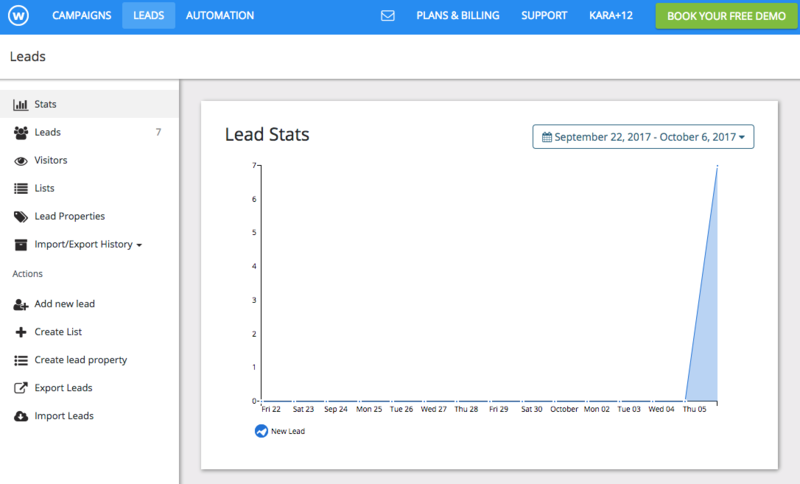 Data available includes number of new leads, lead activity by type of usage, and lead activity broken down over time. 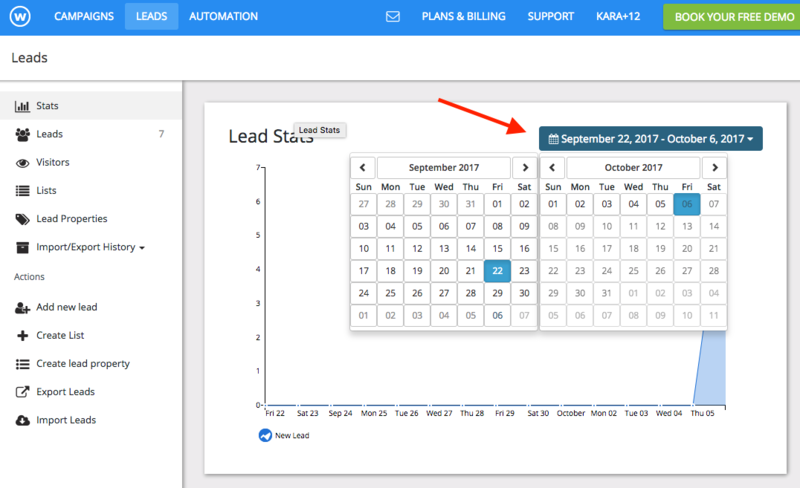 In all of the stats areas, you can specify a time frame by clicking on the date range on the top right of the page and selecting which dates you want to see information on. 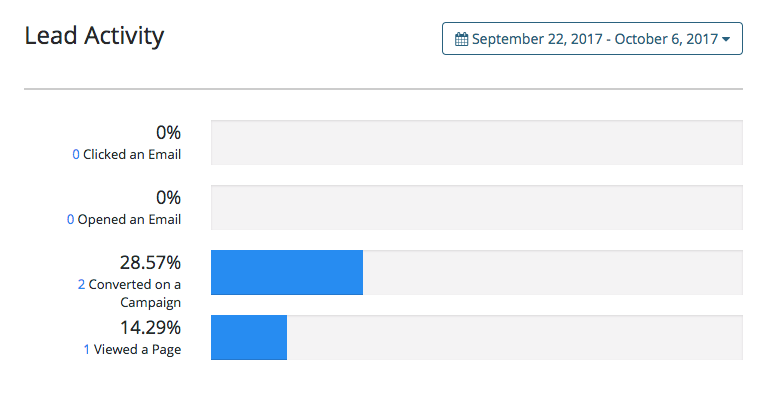 In the lead activity section, there are four main categories, clicked on an email, opened an email, converted on a campaign, and viewed a page. Lastly there is the lead activity timeline. 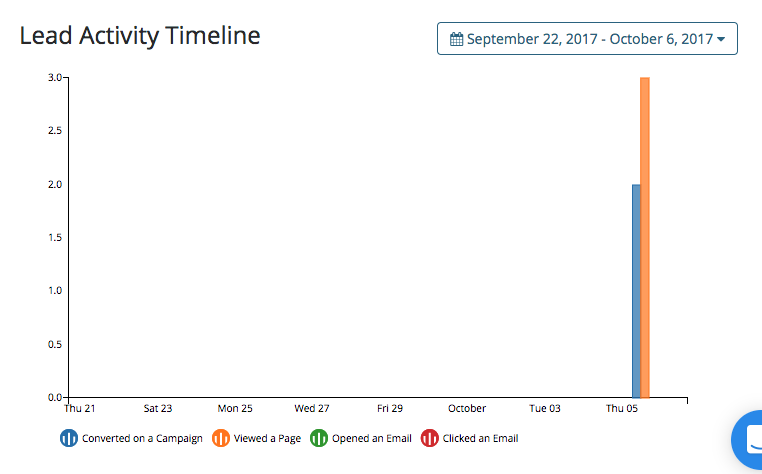 This is a different way of breaking down your lead activity based on the type of activities your leads have taken broken down by date.